This is a 12” x 12” Basket Bowl. It is about 2.5 to 3 inches deep. 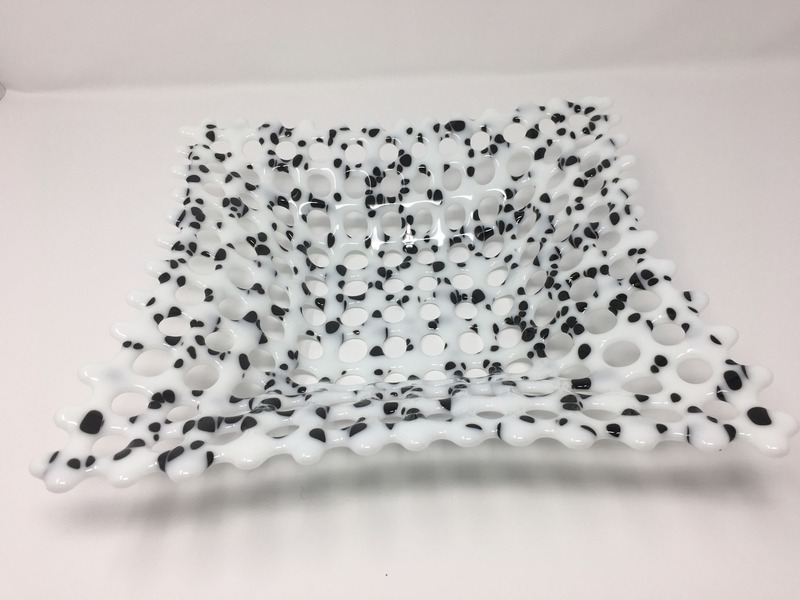 This basket was made with white glass and course black frit fused into the white.